I am not afraid to admit that I have become very much a trail runner. While I started on the road, it is the unpaved path that gives me the loftiest of runner’s highs. That being said, there are times when road is the best option – when I have limited time, am in a new city, or during the spring when waterlogged trails need time to dry out. 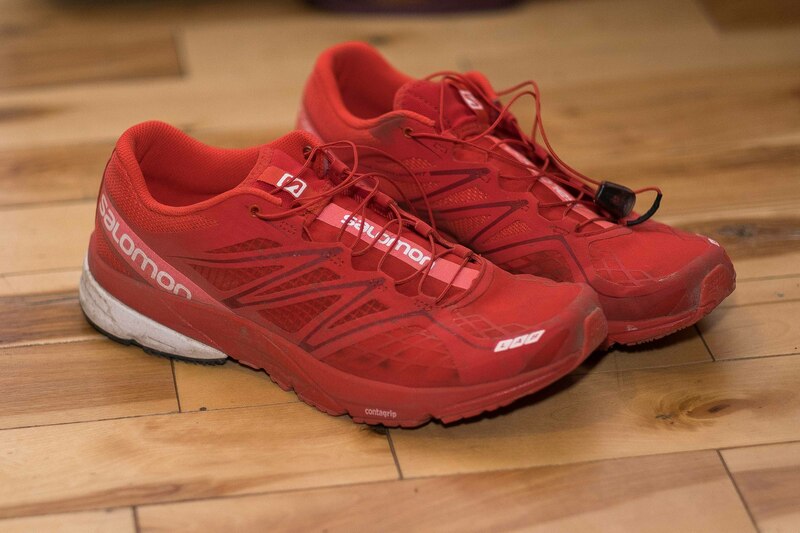 This spring I had another reason to get out on the road – the new Salomon S-LAB X-Series shoe. This was the first real road offering from Salomon, who are mainly known for trail shoes with a few cross over options. I’m generally hesitant when a company that excels at one thing first tries its’ hand at another, so I didn’t set my hopes too high when I first donned the X-Series. As I headed out for my first run in them I looked at the S-LAB mark on the shoe and remembered that it is saved for Salomon’s highest level products – maybe I should expect more out of these. That first run blew my expectations out of the water. These have been my favourite road shoes of any I have worn over the past few years, which includes most of the big name road shoe brands. Nice scenery helps, but it was the X-Series shoes that made this run great! I liked the fit, which makes sense given that I am a fan of the Salomon trail shoe line. I also liked the light, yet durable upper and sole. There is enough durable rubber that should allow these shoes to hold up to a lot of hard surface training. Of course these shoes also come with Salomon’s patented quicklace system that I love, and miss when I’m wearing non-Salomon shoes. The X-Series have a 19mm rear and 11mm forefoot cushion making for a 8mm drop. The sole plate gives the shoe more stiffness than the trail shoes in the SLAB line up. I found the shoe to be a balance of lightweight with speed and responsiveness, while maintaining sole stiffness and enough cushion to shield my feet from the asphalt pounding that they were designed for. With the recent additions of speedy runners like Max King and Ellie Greenwood to the Salomon team, expect to see some fast X-Series times at big races like Comrades. Max King has already punched his ticket to the US Olympic Marathon Trials in these shoes with a sub 2:18 at the LA Marathon. With the S-LAB tag on these shoes you can bet that a lot of thought and design went into them and it shows. I have had a great spring on the roads in these shoes, and will look a little more forward to hitting the road when I have to! I’m a die hard Asics fan but these these look like great shoes. You never know….